Have you ever come across a rough, brown or black spot on your skin that looks like a mole or wart? If so, you might have found seborrheic keratosis, or SK. Although they can resemble other common pigmented lesions on the skin, SKs differ in a number of ways, including how they are best treated. 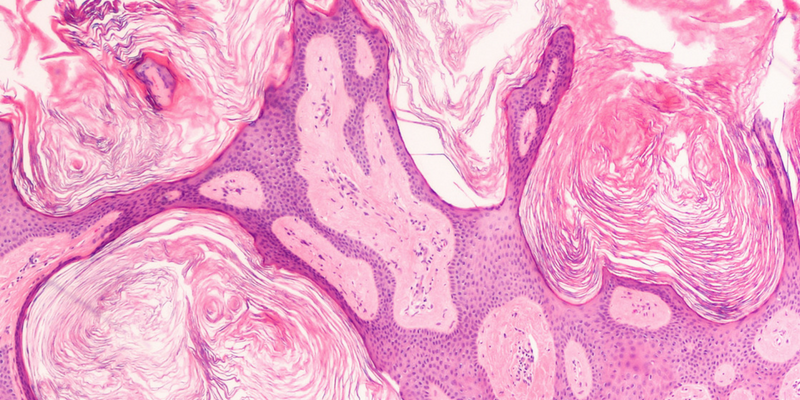 This guide will help you tell the difference between SK and other lesions, as well as explain the newly FDA-approved seborrheic keratosis treatment and when and where you can get it. How Is Seborrheic Keratosis Different from a Mole? If you see a flesh-toned, brown, or black spot on your skin, your first thought might be that it is a mole. However, unlike a mole, seborrheic keratoses will feel rough like sandpaper or sugar crystals when you touch them. SKs are sometimes called “barnacles of aging” because of their wart-like appearance and the fact that most people who develop them tend to be 65 and older. If you get one SK, you’ll likely develop more in the future. Staying out of the sun, avoiding indoor tanning, and always wearing sunscreen are two of the best ways to help prevent more SKs from showing up, although years of past sun exposure can still make you more susceptible. Actinic keratosis (AK) is another skin lesion that can sometimes be confused with seborrheic keratosis. AKs can be cancerous, however, so it is crucial that you have a dermatologist look at the growth to determine if needs immediate attention. AKs also usually appear in areas that are exposed to the sun, such as the face, backs of the hands, and bald scalps. AKs can be flesh-colored, tan, pink, or red and look like scaly bumps on the skin. No, seborrheic keratosis is usually harmless and not a medical concern unless the lesion becomes infected. However, because SKs can closely resemble moles, actinic keratosis, or melanoma, make an appointment to see your dermatologist for an accurate diagnosis. If the spot on your skin is seborrheic keratosis, it can grow very quickly if not properly removed. For this reason, many people choose to seek treatment from their dermatologist, even though they are benign. How Is Seborrheic Keratosis Treated? Prior to the recent FDA approval of ESKATA™, the latest seborrheic keratosis treatment, this condition was primarily treated using cryotherapy (liquid nitrogen), chemical peels, or lasers. The main concern with all of these methods is that there that these treatments could cause scabs that take 3 to 8 weeks to heal and often take 2-5 times to see results. ESKATA, the newly FDA-approved seborrheic keratosis treatment, is a 40% hydrogen peroxide gel that your dermatologist will apply directly to your skin using a pen-like applicator. It can be applied every month for optimal results. The average lesion requires 1-2 treatments. After the treatment the skin will look red. Within a day or two a scab will format the treatment site. Within a week or two, the scab should fall off and leave behind smooth, pink skin that slowly returns to the normal skin color. With any treatment there is always a risk of skin color changes (hypopigmentation or hyperpigmentation) and scarring. It is important not to pick at your scabs to avoid these issues. ESKATA will only be available as an in-office treatment, so if you think you could benefit from it, be sure to contact your dermatologist for an evaluation and treatment plan. Look for this new treatment at your dermatologist’s office as soon as early April. Who Is a Good Candidate for ESKATA? Anyone who has these waxy, rough spots on their skin could be the perfect candidate for ESKATA. Before treatment, your dermatologist will take a closer look at the lesion to rule out any more serious skin conditions and determine if ESKATA would be a good option for you. Any time you notice a new spot on your skin, ask your dermatologist about it. If it is SK, I recommend starting the treatment right away before the lesions grow in size. If you still have questions about SK or ESKATA, ask your dermatologist or contact Baumann Cosmetic Dermatology online for more information. You can also find us on Facebook, Instagram, and YouTube for more skincare tips, tricks, and advice.